Hello targa, my old friend. 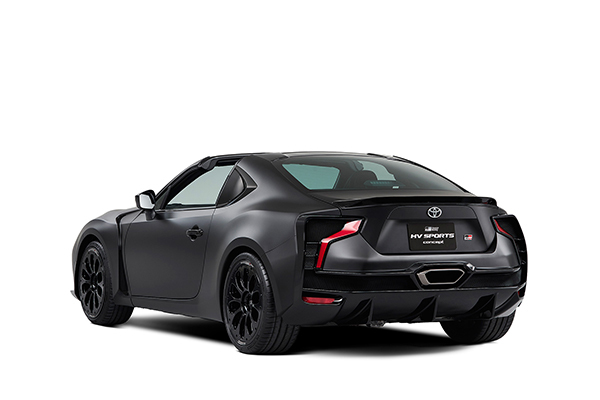 What do grown-ups buy if they want a car the handles like a Toyota GT86, looks like a modernized mid-'90s Toyota sports coupe, and get the fuel efficiency of a Toyota Prius? If you guessed something from Toyota, you're right! The GR HV Sports concept is a brand new vehicle being unveiled at the Tokyo Motor Show with a twist: It's a hybrid. Imagine it's a hot summer day and you're taking your car on a leisurely Sunday drive. 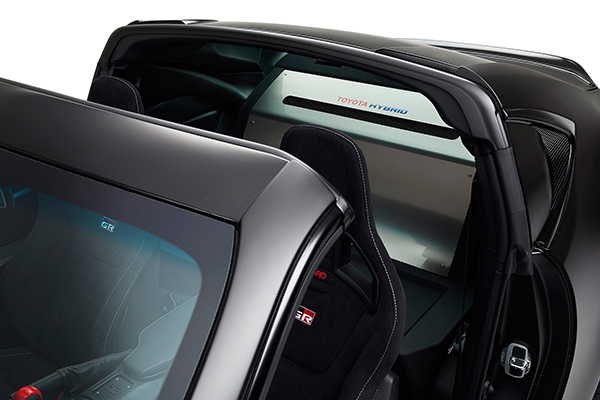 You want the open air feeling without the convertible. So naturally, you drive something with a fantastic targa top, which some of the most iconic cars of their times sported during their lifetime. You could buy a Chevy Corvette, Ferrari F355, Lotus Elise, or even a Porsche 911 featuring this iconic style of hair-in-the-breeze goodness. Or, if you're one of the people who enjoy the simpler things in life, you could buy a Toyota. The Japanese automaker was no stranger to the Targa in the '90s. The MR2 and Supra both featured notable examples of the manufacturer's usage of this style during the greatest time, and now they've decided to bring it back, too. Last month, Toyota announced its spin-off of its internal racing development team, Gazoo, into its own sub-brand called GR. Filled with examples "kid-at-heart" and "boy-racer" cars, the line has vehicles with aero kits, factory performance parts, and stresses the importance of community by opening a line of GR Garages across Japan. 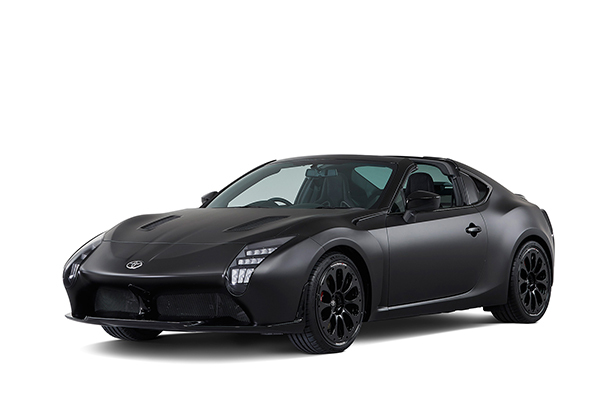 The GR HV Sport is a prime candidate for the GR brand, as it incorporates a matte-black finish with aggressive body lines and the wide, sleek profile of a sporty coupe that extends to a larger footprint than the GT86. Inside of the sporty interior of the car are only two bolstered seats, placed directly in front of the hybrid battery pack. A large digital display is positioned in front of the driver alongside a beautifully stitched leather-wrapped steering wheel. Analog gauges for coolant temperature, oil temperature, and battery charge are replaced with software-based digital gauges on the home screen of the multimedia display. A gear selector in the center of the car (complete with ignition switch under the red cover, "ejecto seato cuz" button style), and toggle-style switches under the HVAC controls make the car feel racecar-ish, but then you notice a few buttons labeled "P," "R," "N," "D," and "M" which might throw your entire opinion of the execution into question. Here's the caveat: If you haven't noticed yet, the "sports" factor in this car might be skeptical at best. Sure, it's a hybrid, which means gobs of torque early on in the RPMs. But despite the look of the shifter, there's absolutely no mention of a manual transmission being offered. 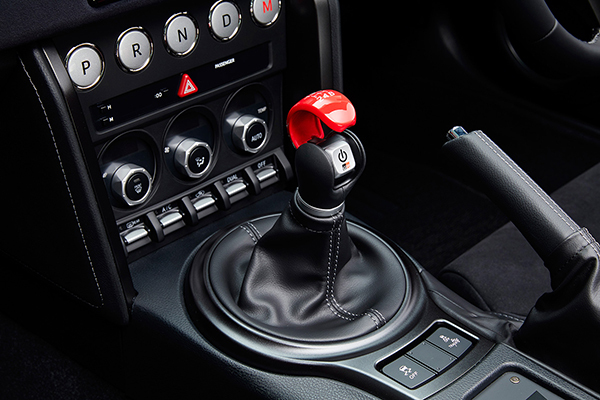 In fact, directly in front of the H-pattern shifter are a series of buttons meant to control the transmission's gearing, also adding a manual mode. Should a driver choose, they can put the car in manual mode and row through all six gears. Unfortunately, it doesn't change the underlying slushiness of an automatic gearbox. Toyota hasn't given a clear idea of power output, battery range, or other pertinent details that we'd expect to see with these kinds of releases. Likely, they're saving that information for the reveal at the Tokyo Motor Show which will be held later this month. What we do know, is that if the vehicle gets slated for full-scale production (which some from the auto show in fact do), the U.S. might not see it for quite some time. The GR brand is to be first sold in Japan, and follow to parts of Europe after its launch. The short take of the GR HV Sport shows that Toyota is taking a seriously different approach to this line of cars in lieu of its hooray-for-beige style. Wide stance, matte paint, electric, and automatic gearboxes certainly all give mixed feeling about how to approach this concept, but we can still hope for the best. Here's to counting down the days until the full reveal. The Japanese manufacturer wants to narrow the gap between electrified and non-electrified LMP1 entries.